I have been friends with Lilly since December last year. We had a bumpy start with dodgy wheel arch needing straightening up so it wasn't rubbing on the tyre. She is painted in a course silver, with a Candy type Harley Davidson Pink over. 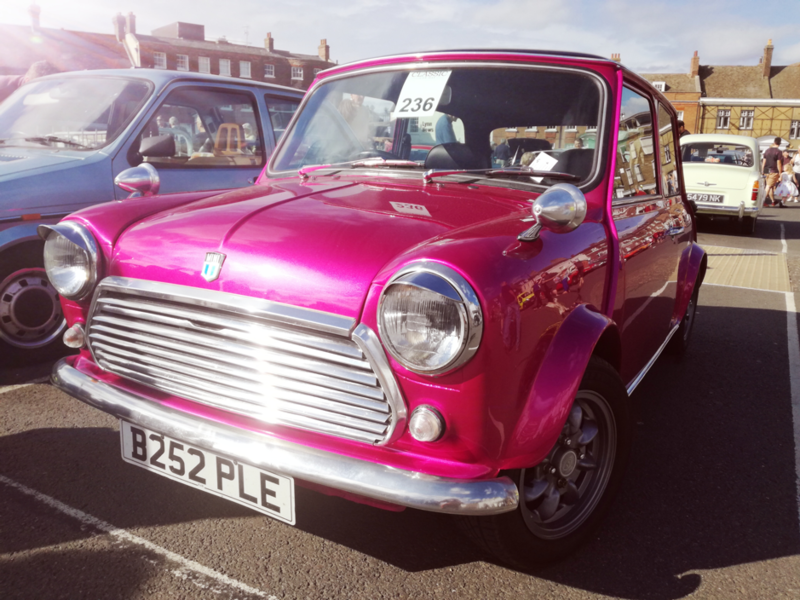 Her roof is black with red flake, and sparkles like a proper girl in the sun. 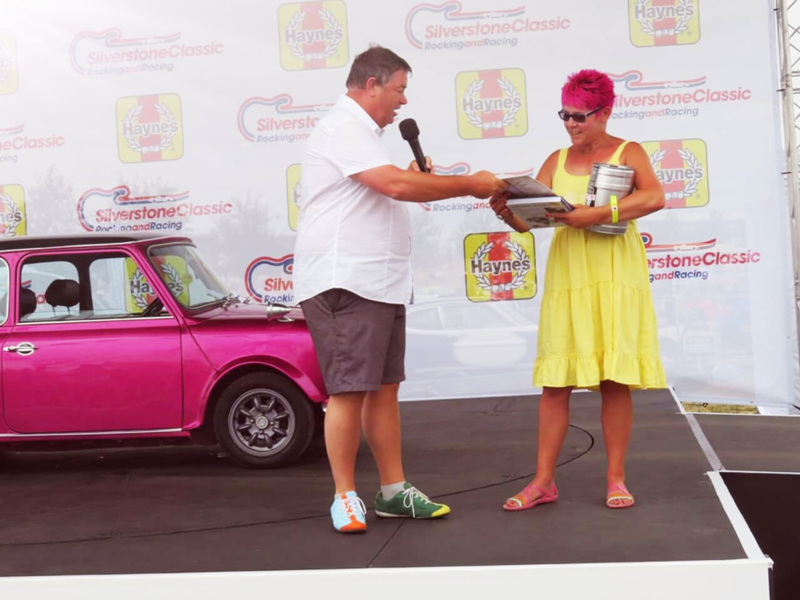 We went on stage at The Silverstone Classic with Mike Brewer and his Car Clinic, this being our first camping expedition.